Amber Bardan returns with a heart-stopping third installment in her high-octane, highly addictive Bad for You series. A fling with her best friend's reclusive business partner should've been harmless. When Emma meets him, the only way she's looking to be tied down is in the literal sense. 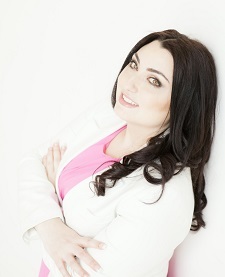 But Avner—shady hacker, off-the-books investigator, occasional spy—takes her breath away. He's the first man who doesn't turn to mush under her sexual spell: a fact that makes what's between them very different, and very real. Beautiful and uninhibited, Emma is everything Avner thought she would be and more. Yet his deadly past and dark duties can never be forgotten…not even as he succumbs to their seductive intimacy. But for the first time he's after something of his own, as well. And now that he's found Emma, he'll protect her, no matter what. Because anything worth loving is worth fighting for. But nothing about Avner is remotely harmless. Soon, Avner has infiltrated Emma's personal life, stalled her career and nearly destroyed everything she's worked for—all in the name of protection. Desperate and heartbroken, drawn into a secret criminal underworld in her quest for understanding, Emma discovers the truth: Avner's secrets are far more devastating than his lies. Emma is the best friend of Angelina and watching her and Haithem, Emma wants that too. But she knows it will never come true for her. So she is going to have fun on her terms and with whom she chooses. So when she meets Avner, she knows she wants him, but for how long is the question. Because she knows he will show her a good time because she can tell just by the way he looks at her. Avner sees Emma and knows that he wants her, but with Haithem's warning he has to steer clear of her. But Emma is a force to be reckoned with, she is strong, determined, uninhibited, and beautiful. All he wants now is to protect her and make her his. But with both of them keeping secrets, can they make a relationship work? Will she run when she learns about his dealings and his past? What will Avner do when he learns her secret? Emma and Avner both have a past that will break your heart and you will want them to help each other heal. I love Angelina and Haithem's story, but I think I loved this one just a little more. Another addition to the great series. 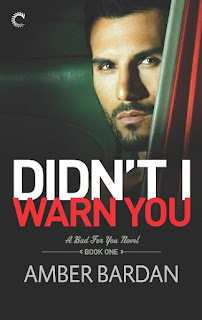 For reviews & more info, check out our stop on the Didn’t I Warn You Blog Tour. 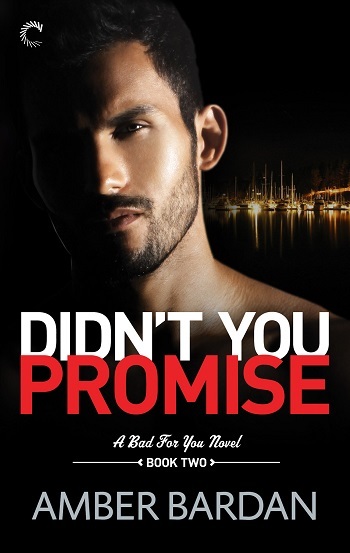 For reviews & more info, check out our Didn’t You Promise post. After spending years imagining fictional adventures, Amber Bardan finally found a way to turn daydreaming into a productive habit. She now spends her time in a coffee-fueled adrenaline haze, writing romance with a thriller edge. She lives with her husband and children in semi-rural Australia, where if she peers outside at the right moment she might just see a kangaroo bounce by. 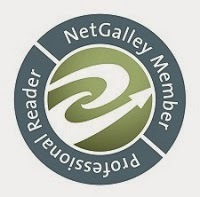 Amber is an award winning writer, Amazon Bestselling Author, and member of Romance Writers of Australia, Melbourne Romance Writers Guild, and Writers Victoria. 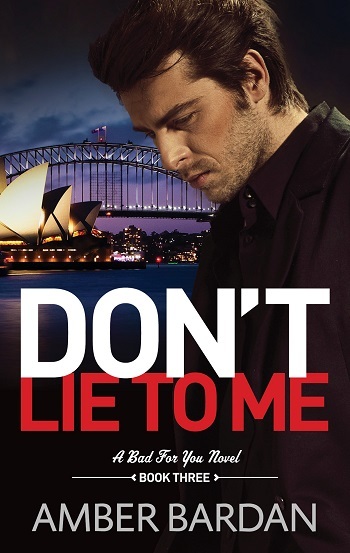 Reviewers on the Wicked Reads Review Team were provided a free copy of Don’t Lie to Me (Bad for You #3) by Amber A. Bardan to read and review.